Here, on the first day of September 2018, is my last mention of the dog days of August. 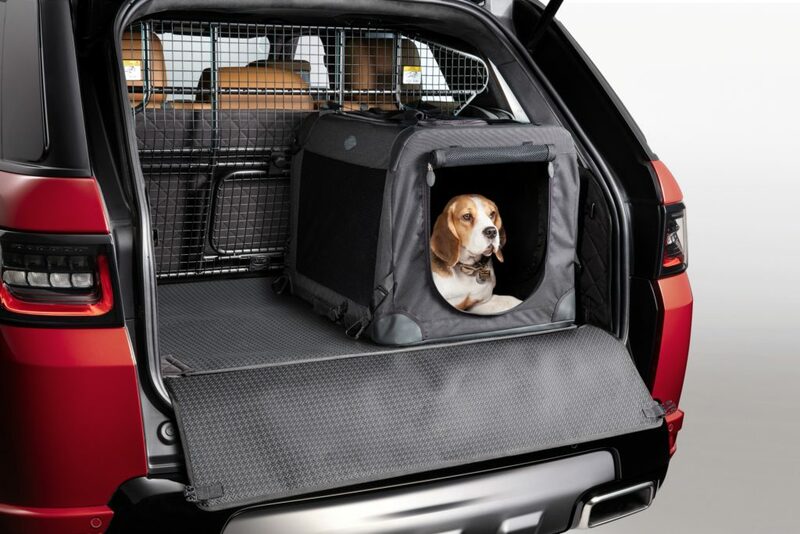 In connection with my recent test drive of a 2018 Land Rover Discovery, a public relations firm for the British SUV builders sent me a note promoting dog-carrying items that can be purchased and placed in the cargo areas of new Land Rovers and Range Rovers. Last Sunday, you know, was International Dog Day. After including the accompanying Beagle photo with my Land Rover column today, like an eager pup I sent a note back to the PR firm, suggesting that Land Rover give away a Beagle in a carrier in the back of a new Land Rover or Range Rover for a sales boost. The company already is enjoying increased sales, my plan would be added gravy. Well, I’ve not heard a word back; perhaps my contact is on vacation. Built in Solihull, England, the Discovery is a solid entry into the lineup of Land Rover and Range Rover sport utility vehicles. Its electronic air suspension, with push of a button on the center console, will lift the Discovery from its normal 9.9 inches of ground clearance to 11 inches. With wading depth of 33.5 inches, it could be driven down the middle of the South Platte River from Denver to Julesburg. Turbodiesels, falling out of favor with some manufacturers, remain a solid attraction for Land Rover. A 3.0-liter, turbocharged 6-cylinder engine of 254 horsepower and 443 lb.-ft. of torque deliver excellent acceleration and power to the Discovery. It averaged 23.1 miles per gallon overall. 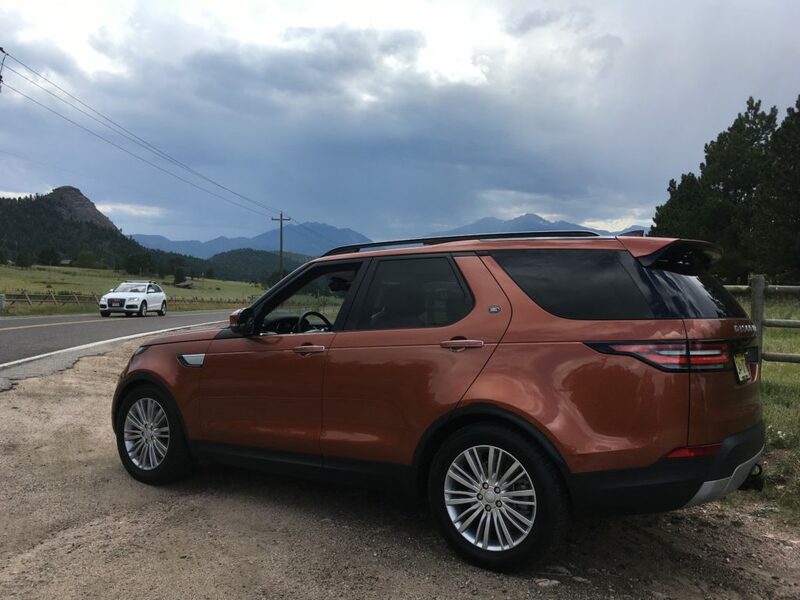 This is the same diesel used in the Range Rover Sport; lines are also blurred between the two when it comes to size, as they share wheelbase length and 66.5-inch track, the Discovery is 3 inches longer and the Range Rover Sport is heavier by 50 pounds or so. Pricewise, the Discovery’s sticker is $81,395; the last RR Sport I drove was $84,260. Roomy and comfortable inside, the Discovery is dressed up with nice, butterscotch-colored Windsor leather on the face of the dash, the seats and windowsills. A Meridian sound system is pleasant. Front seats are heated and ventilated with powered headrest height control, second-row seats are also heated and cooled and third row, which can be power-folded flat, is heated. Boosting price from $67k to $84k were massaging front seats, four-wheel-drive terrain response, adaptive cruise and lane-keep assist, auto high-beam assist, head-up display. The big Discovery rides on Goodyear Eagle 275/45R21 tires. Gasoline engine available is a supercharged, 3.0-liter V-6 of 340 horsepower and 332 torque.